Hey everyone, long time since i've been here but i recently purchased a new SSD for my PC. I bought this one at the price of $154.95 at the time: Amazon.com: Samsung Electronics 840 EVO-Series 250GB 2.5-Inch SATA III Single Unit Version Internal Solid State Drive MZ-7TE250BW: Computers & Accessories. It is on it's way next week or so. Did much research and is a great deal that i couldnt pass up. I have some questions about cloning after doing some research as well. In my situation, my HDD is partitioned in two drives for my 1TB: 149GB and 781GB, so the small portion is only OS and applications and a few drivers. I believe i clone the smaller portion and the rest should be history but does this mean I can delete the old portion of my HDD or must I keep it at all times? I would like to get that space back and perhaps combine it with my Local D drive using GParted LiveCD or something. I plan on buying a new 2 or 3TB HDD in the summer to replace this 1TB while the 1TB can be used for whatever i want it to be. What are my best options to make this transition painless and as fast as possible? Also, should I have all my drivers on the smaller partition before cloning so I can keep it all on the same drive? Cloning software: CloneZilla is what I use, and would recommend. As for the actual cloning, you can clone individual partitions. 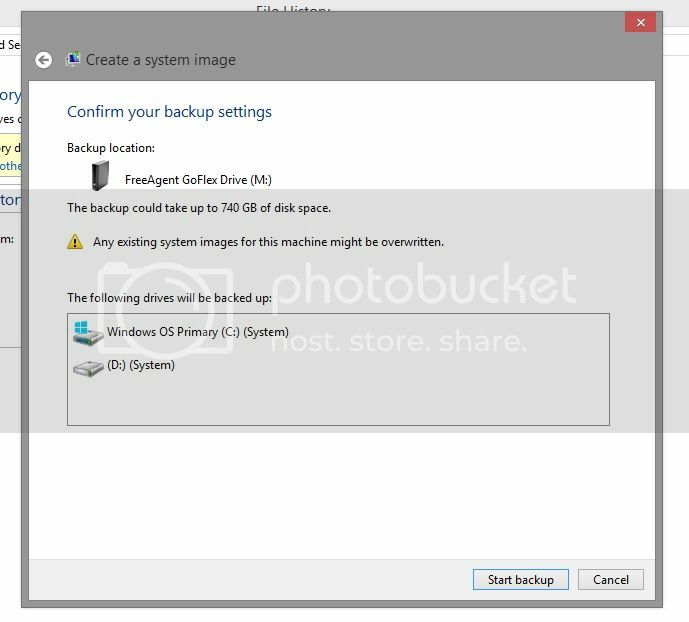 What I would do (and several other people here would also recommend the same thing) is create an image of the partition(s) to an external, or separate HDD. Not sure if it's safe to clone to a separate partition on the same HDD or not - I'm guessing it would be fine though if you wanted to do that. Also, make sure you select the system boot partition from the 1TB as well as your 149GB partition (I believe the system boot is 100MB); otherwise you'll have to rebuilt your boot sector which can be a pain to do. Then, once that is done, clone that image to the SSD. That way your main drive is never touched except read from - funky things can happen sometimes, and boot sectors can get totally FUBAR'd by cloning sometimes. This should ALWAYS be done after cloning to a new HDD to get rid of any flags for the drive. After you know you can successfully boot into Windows from your SSD, then re-connect your 1TB, boot into GParted, and delete the partitions you cloned, and then expand your 781GB data partition to fill up the rest of the space. I shouldnt use the software that comes with the SSD? How do i the chkdsk through DOS command only? I forget how to access that window. Start -> type: cmd -> right click / run as admin -> chkdsk c: /b -> Will say it cannot lock current drive and to run on next reboot -> Type Y and hit enter. This is why I suggested using CloneZilla . You can make images based off of partitions or whole disks. Awesome. Do you suggest I have all my drivers on the main partition before cloning or dont worry about that? UPDATE: Trying to download and prepare Clonezilla. It is confusing :/. Not sure what you mean. Your drivers are stored (once installed) in Windows directories. So when you clone it, they will get cloned as well. drivers for my motherboard, GPU, etc are on the D drive and not the C drive. Are you saying you moved these folders to your other drive? Or do you mean you installed the GUI interface programs to your other drive? An overdue update but I actually looked into the software provided by Samsung for my SSD. The Samsung Data Migration and Magician software seems promising and provides simple and easy way to clone my OS. Here is a link for the Data Migration part from Vortex.net explaining their process and I like it. Is there a reason that I shouldnt use this software and stick with Clonezilla instead? Never used it, so it's up to you really lol. I just stick to CloneZilla since it's what I've used forever.